Clear out remaining ants. After killing the colony, you might be left with a stray ant here and there on some kitchen surfaces. 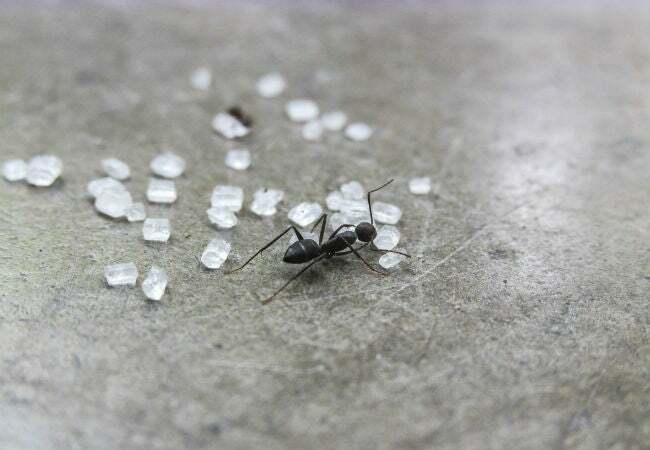 To kill these, sprinkle a scant amount of food-grade diatomaceous earth (the fossilized remains of aqueous organisms called diatoms, which you can purchase by the bag on Amazon) in the ants’ path to dehydrate and kill them. 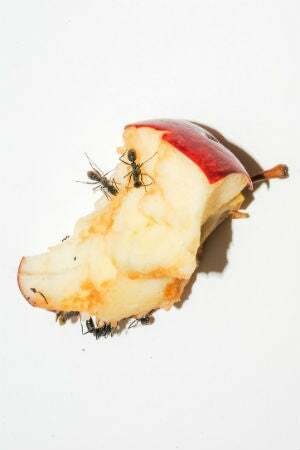 Alternatively, spray the ants with a soapy solution (one tablespoon dish soap and 12 ounces of plain water) to immobilize the ants, then wipe them away with a paper towel. 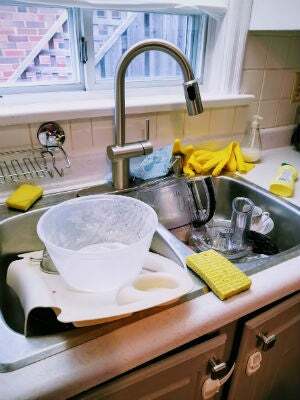 • Standing water is an invitation to ants to drink up, so wipe up water and other liquid spills as they occur and don’t leave pots and pans soaking in the sink for more than a few hours at a time.